PVC markets are following different directions in global markets as per the pricing service of ChemOrbis. PVC k67-68 prices are keeping firm on tight supplies in Europe despite the approaching summer holidays. July deals were concluded with up to €30/ton increases during this past week in Italy while players point to higher energy costs which hover above the $105/ton threshold and tight supplies as the main drivers behind the rise in PVC offers. A Central European PVC producer had shut their 130,000 tons/year PVC plant due to the flooding that had happened in the region in June. The company had declared a force majeure until June 20 but they then extended this date to end-July. Asia also saw higher prices to open the month of August on the back of the rising energy markets. 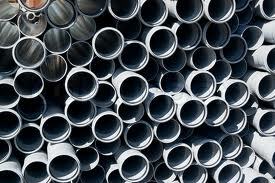 A Taiwanese producer’s new import PVC offers to China indicate $20-30/ton increases when compared to their July deals. Meanwhile, a Thai producer also issued $30/ton increases on their import PVC offers to Southeast Asia. However, players in China report their discontent about the hike amounts while pointing to the generally weak PVC demand in global markets. “Muslim countries are in the month of Ramadan and it is a slow period in terms of PVC business. Meanwhile, it is the rainy season in India and therefore, initial hike request are likely to see some resistance,” some highlight. However, in the US, export prices are softer as they retreated by $20/ton during this past week according to ChemOrbis. Sellers in the country point to the waning overseas demand for the softening in spite of the fact that there are some production issues which limit the availability. Axiall shut their PVC plant for two weeks in mid-July and halted their VCM plant for three weeks in early July for maintenance. On another note, data from the US Commerce Department shows that US housing starts unexpectedly decreased in June, hitting their lowest level in a year with housing starts slumping 9.9% to an annualized pace of 836,000 units. Building permits also declined 7.5% to a 911,000 annualized rate in June. Initial forecasts called for an annualized pace of 1 million permits, according to a survey by Bloomberg. However, analysts commented that as there were more permits than starts this month, the decline may be reversed in subsequent months.